Watch these three little unicorns go speeding down the slippery slope, encouraged by the sound-effect of a chipper and cheerful tune. 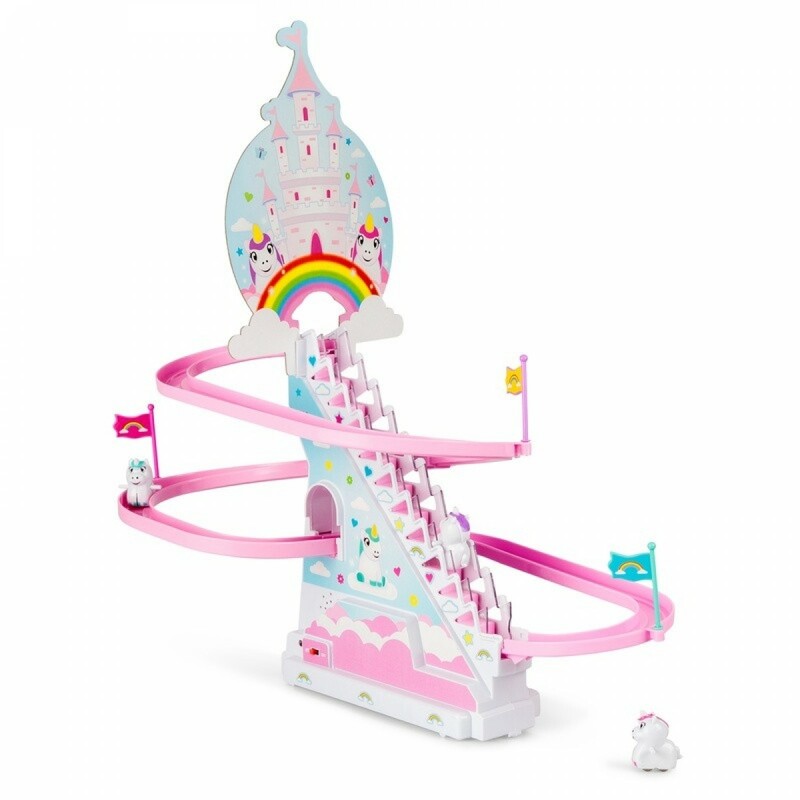 It is hilarious watching these three unicorns slide their way round the winding route...and even more hilarious watching your little one cheer them on! Includes: 3 unicorns, each with a different colour mane.